The mixed club season is finally upon us, and if last year is any indication, we are in for some surprises this weekend at the Pro-Elite Challenge. Last year, Seattle BFG, coming into the tournament as the last seed, defeated Minneapolis Drag’n Thrust, Philadelphia AMP, and Boston Slow White en route to their first tournament win of the year. It put the rest of the division on notice, and BFG rode that wave to a win at the Elite-Select Challenge and an eventual third place finish at Nationals. With last year’s top four finishers at Nationals skipping this tournament in preparation for WUCC, the stage is set for even more chaos. Expect teams to come in looking to make a statement and notch some big early wins over rebuilding powerhouses to kick off the season and start the bid conversation in earnest. How Will Wild Card Play Their Hand? WUCC looms large over the club season this year, and in the mixed division, we have already seen a clear stratification occur. Boston Wild Card is the only mixed WUCC qualifier making the trip to the Pro-Elite Challenge this year, with Seattle Mixtape, Philadelphia AMP, Seattle BFG, and Boston Slow White opting to to take care of their Triple Crown Tour obligations later this summer. Surely Wild Card would have preferred to have the same decision, but this is their required TCT event. With a week-long tournament starting one week after the Pro-Elite Challenge, expect the top seed to focus on refining systems for WUCC, but with a bit less intensity than otherwise. Wild Card also has a fair amount of roster turnover to contend with. Ultiworld All-Club 2nd Team standout Robin Meyers has moved to San Francisco Mischief this season, and while he figures to still play with Wild Card at WUCC, his absence puts the burden on Boston’s handlers to step up. Six other players from Boston’s 2017 Nationals squad have left, and there are 10 new recruits for this season. However, Hailey Alm, another Ultiworld All-Club 2nd Team player, remains to anchor the team’s cutters. Expect Alm and Lauren Nelson to initiate the offense at every opportunity, giving Wild Card’s revamped handler core easy throwing options, though absences will also play into the equation. Ian Engler and Kyle Johnson, both handler mainstays for the team, are not making the trip to Colorado. While this opens up opportunities for Wild Card’s other players to shine, those are tough losses to absorb. With the Northeast region looking as strong as ever, Wild Card may not need to play at their best at the Pro-Elite Challenge to maintain their bid status, but the other teams in their pool will look to upset the order and lay claim to a strength bid that Boston has traditionally held close. Wild Card is not the only 2017 Nationals qualifier to get hit with significant turnover. Fellow pool top seed Minneapolis Drag’n Thrust had seven departures, Connecticut Metro North lost 14, and Dallas Public Enemy lost 16 players from their respective Nationals campaigns. Elsewhere, Cincinnati Steamboat and San Francisco Blackbird said goodbye to 15 players from last season, and Denver Love Tractor lost 13. At any level, turnover of that magnitude will create growing pains, and with this tournament so early in the club season, it will be a good litmus test to see how far these revamped teams have come in a few months. There is upset potential across the board, and just enough teams in transition should make for unpredictable results. We may even see another low seed leapfrog the competition and make a run to the final. If last year taught us anything, it’s that favorites don’t matter until Nationals, and this year’s Pro-Elite Challenge should only reinforce that. Which Bottom Seed Has The Best Chance To Make The Bracket? Pittsburgh Alloy just missed out on Nationals last year after making it in 2016, losing to AMP in the final in a one-bid Mid-Atlantic region. Los Angeles 7 Figures picked up several big names this year, including Misha Horowitz and Brian Stout, but have not been able to emerge from the hotly contested Southwest region since 2014. New York XIST defeated Boston Wild Card in the quarterfinals at Northeast Regionals last year, but could not translate that into a bid to Nationals in their first year. 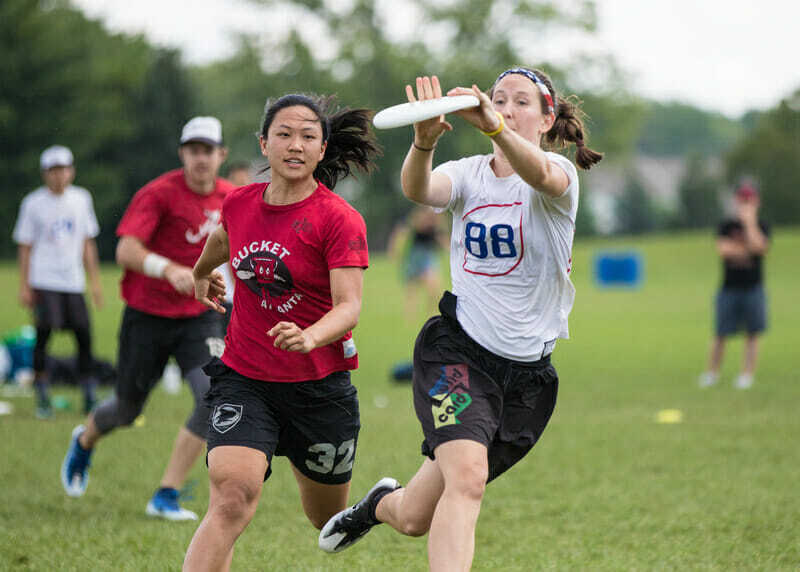 Seattle Birdfruit has often been the odd team out in the always-competitive Northwest region, but will look to their success in 2015 where they qualified for Nationals for inspiration to get back. Each team has a shot at making a run through their pool, especially given the roster upheaval across the board. Pittsburgh Alloy has a lot on the line this weekend, and that could be the motivation they need to get wins. The arrival of Washington DC Space Heater makes the Mid-Atlantic mixed scene even more top-heavy, as they are expected to battle AMP for the top spot in the region. Alloy need to do whatever they can to earn at least one more bid for the region if they hope to return to Nationals. In a one-bid region, they would need to top both AMP and Space Heater with no margin for error. With NOISE fighting through roster turnover, and Wild Card unlikely to want to risk too much before WUCC, Alloy have a chance to put their mark on the rankings early. Following up a good Pro-Elite Challenge performance with a strong Elite-Select Challenge showing should be enough. Los Angeles 7 Figures finds themselves in a pool with three teams who lost at least 13 players from the previous year. For a team on the outside looking in for three years, big wins over established programs would put them in a great position moving forward. If Blackbird can put together good performances against Public Enemy and Love Tractor, the South Central’s loss would be the Southwest’s gain. 7 Figures would need some luck down the line, but big wins early on could be enough to open up the bid picture for the Southwest. Always a packed region, earning an extra bid would be a relief for both Mischief and Blackbird. New York XIST is in a good spot to make a statement. With Steamboat reeling from losing 15 players, and a Minneapolis No Touching! team that always seems to start slow (only notching a single double game point victory at last year’s Pro-Elite Challenge), the New York team could easily vault their way into the bracket on Sunday. Riding high off a fifth place finish at the Boston Invite where they took down Boston Wild Card on double game point, XIST have the opportunity to push into the bracket and make a crowded Northeast region even tighter. Finally, Seattle Birdfruit are in the trickiest spot, in a pool with a reloaded San Francisco Mischief team and a Fort Collins shame. squad looking to right themselves after several early season losses. While Metro North may be struggling with turnover, they still retain a strong handler core. Birdfruit has long sported excellent team chemistry and a consistent core of players. With all the changes for their opponents, their consistency could be enough to push into the bracket. There are a few compelling options for fans looking for upsets. However, 7 Figures seems like the surest bet to go far, with Alloy a close second in likelihood to advance to the bracket. Keep an eye on pools A and B on Saturday, there will be no shortage of action. Early season tournaments at altitude will test any team’s fitness. It will not take long to see who is ready for the thin Colorado air, and who is desperate to get back to sea level. Later rounds will get scorched. Making sure players are cool and hydrated will be a battle in itself. Comments on "Pro-Elite Challenge 2018: Tournament Preview (Mixed)"